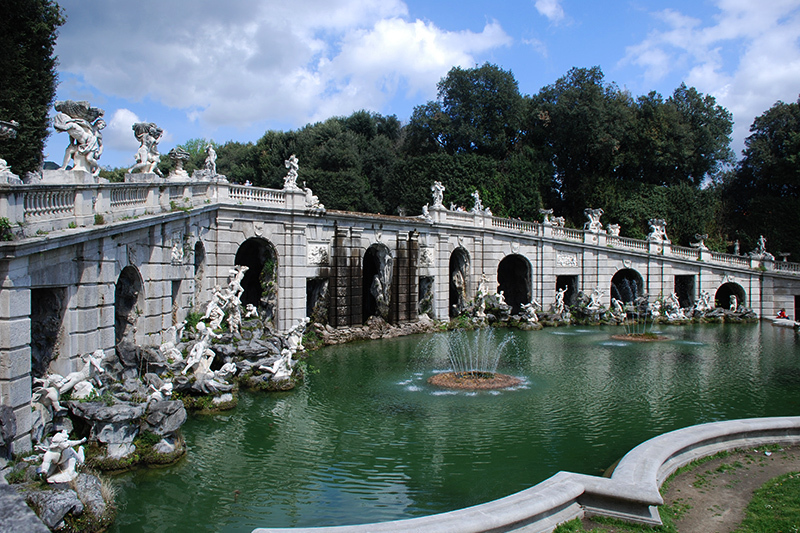 Join us to discover two of the most extraordinary marvels in all of Italy: the Royal Palace at Caserta and the Amphitheater in Capua. 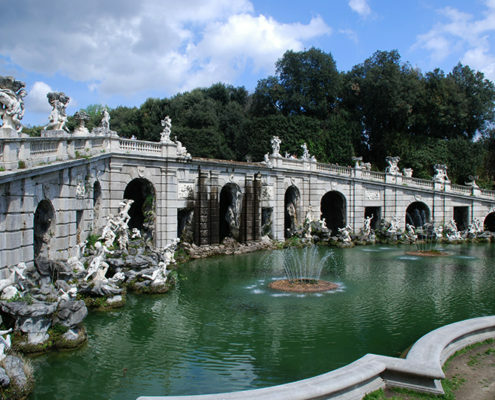 The Royal Palace at Caserta is the largest royal residence in the world with gardens and fountains to rival those of Versailles. 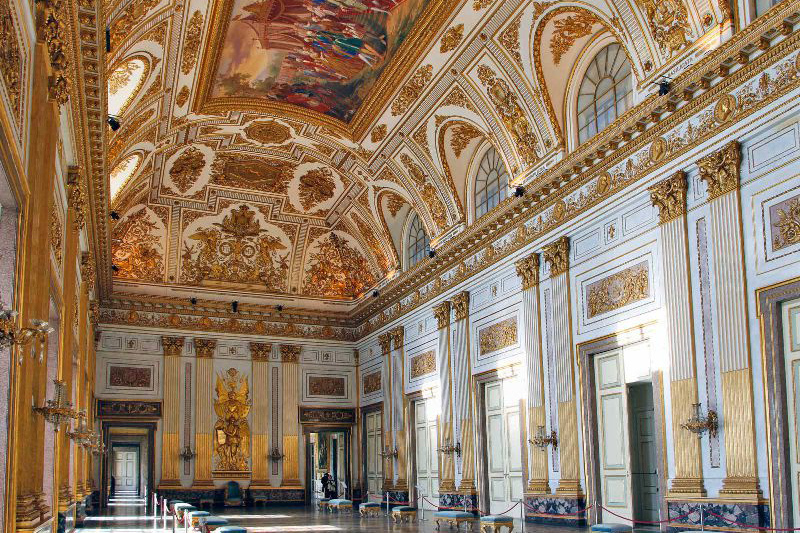 Planned by architect Luigi Vanvitelli in the second half of the 18th century, it took over 100 years to complete for the Bourbon kings of Naples. 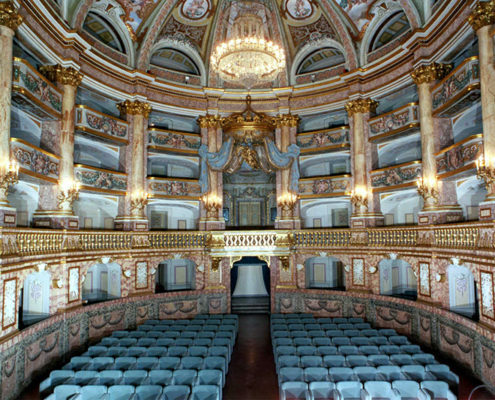 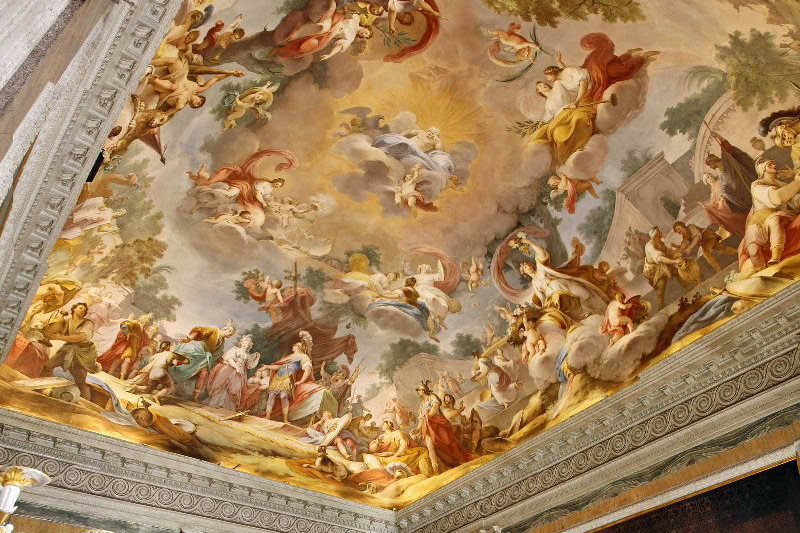 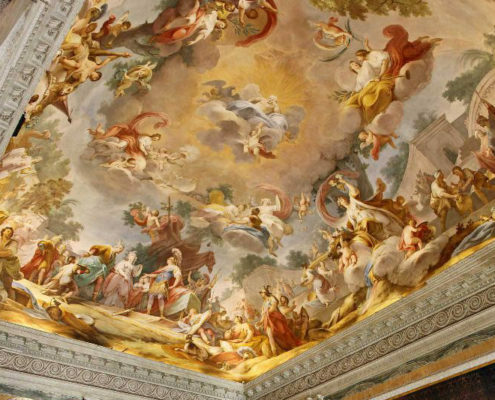 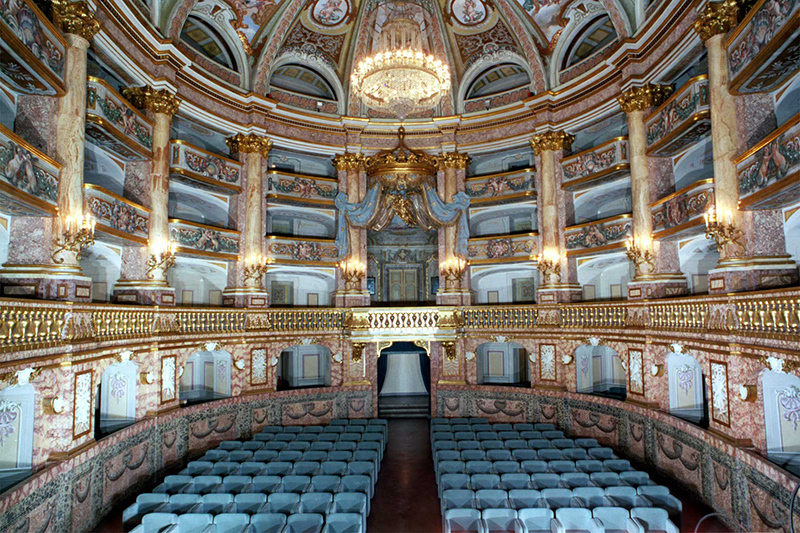 The Royal Palace at Caserta is a masterpiece of 18th century Baroque architecture and decorated with many works of art. 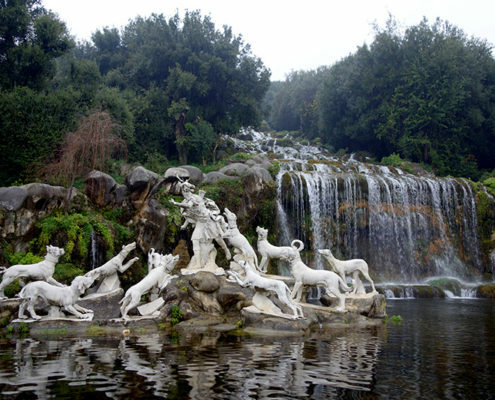 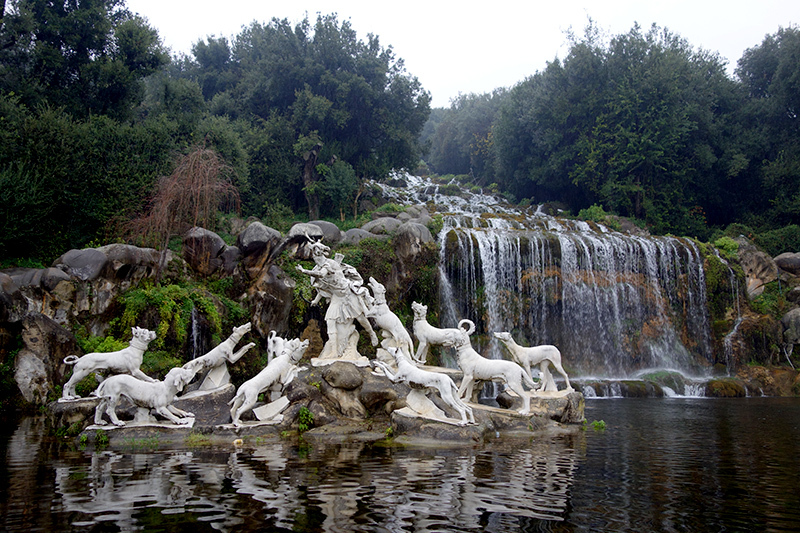 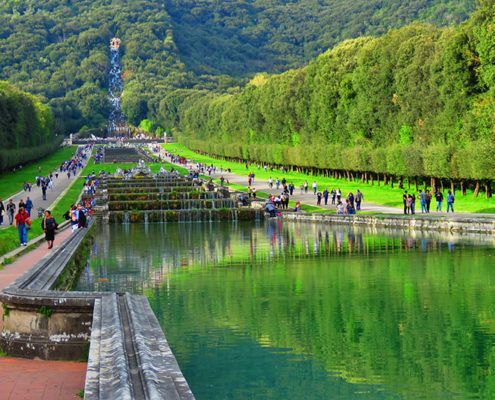 Another stunning feature on the palace grounds is the waterway with water cascading through large sculptures. 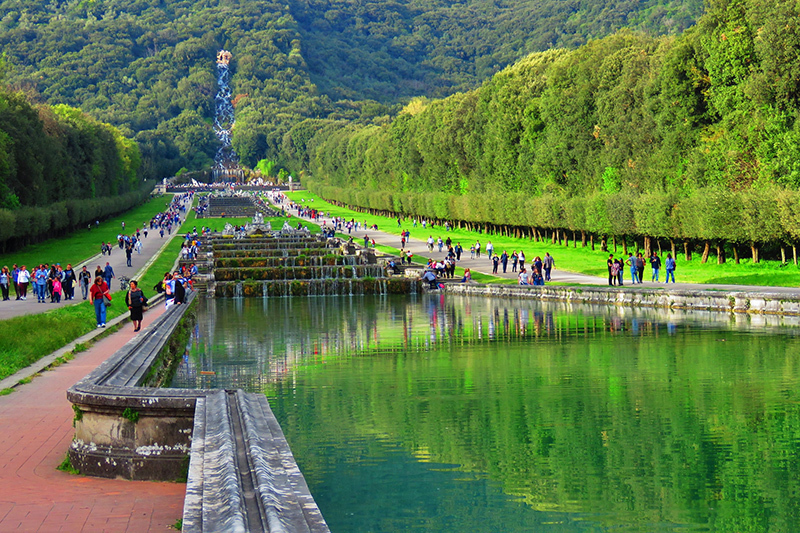 The park features wide lawns, flowerbeds, and dancing water fountains. 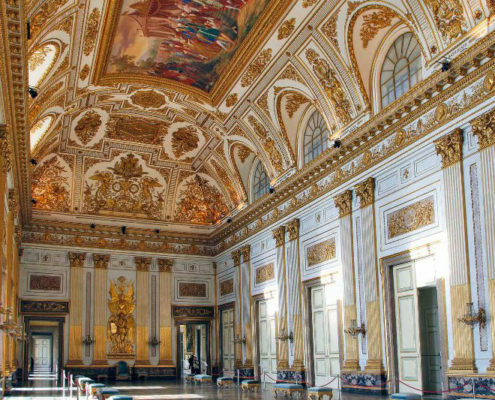 During World War II, the palace was the Allied Force Headquarters for the Mediterranean and is the site of the unconditional surrender of German forces in Italy. 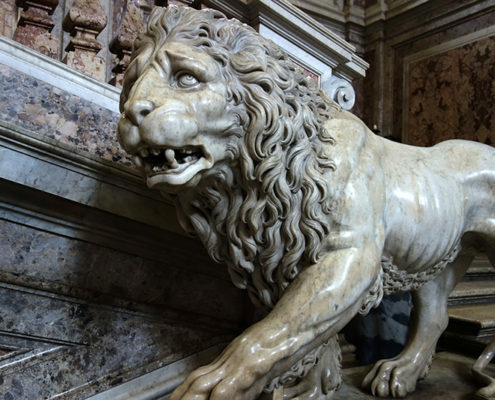 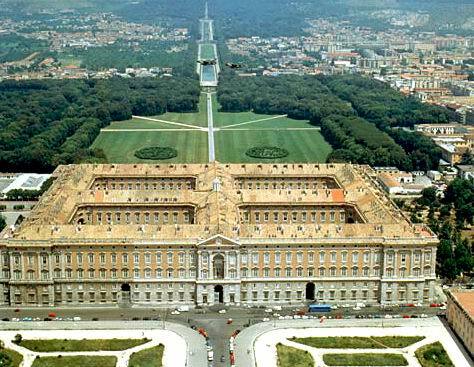 In 1997, the Royal Palace at Caserta earned UNESCO World Heritage Site status. 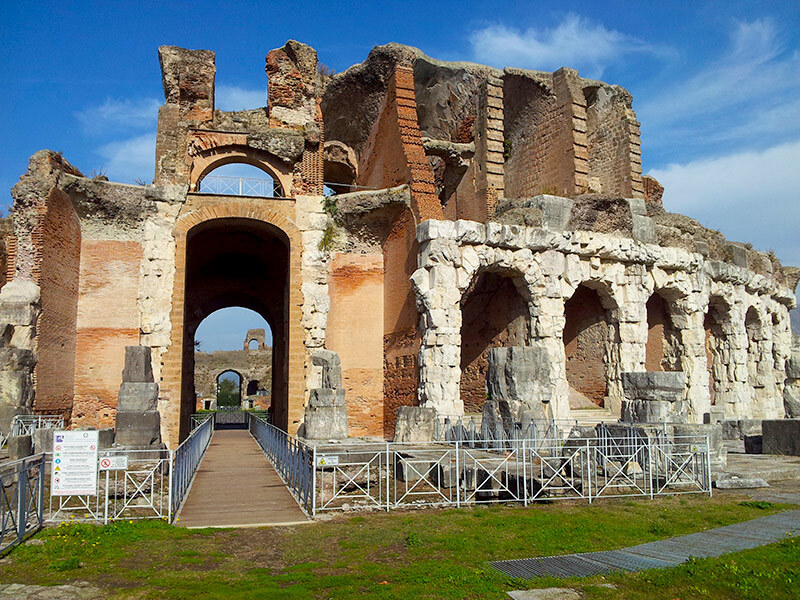 After our visit to Caserta and lunch, we head to Capua to visit Italy’s second largest amphitheater after the Colosseum in Rome. 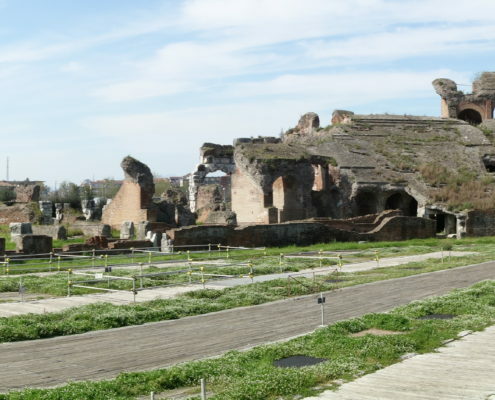 The area in front of the amphitheater have fragments of the School of Gladiators where Spartacus trained. 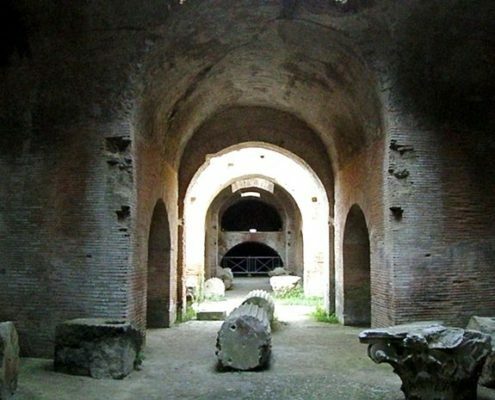 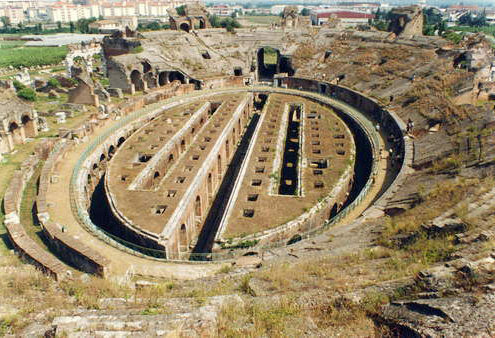 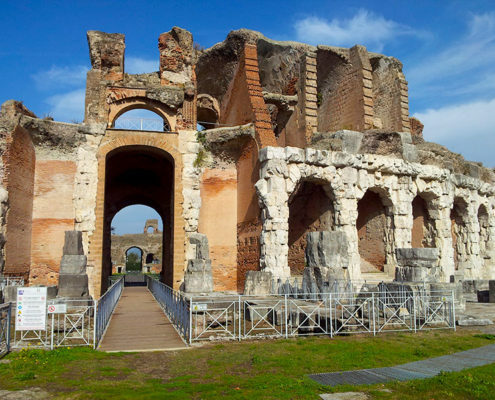 In its heyday the amphitheater could seat up to 60,000 spectators to watch staged wild animal hunts in the arena. 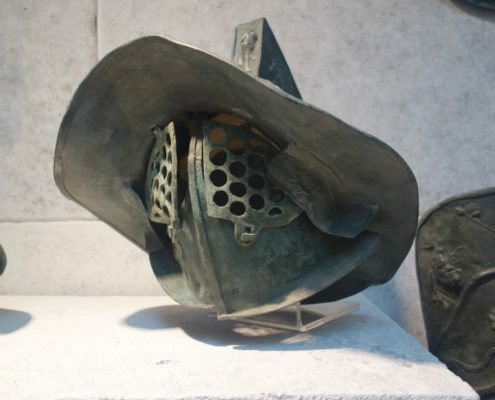 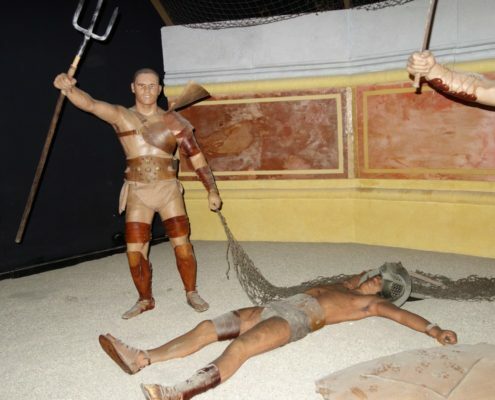 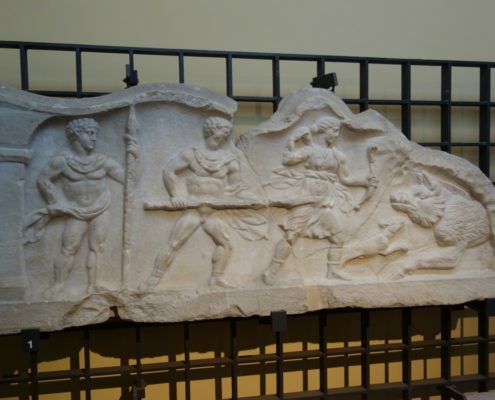 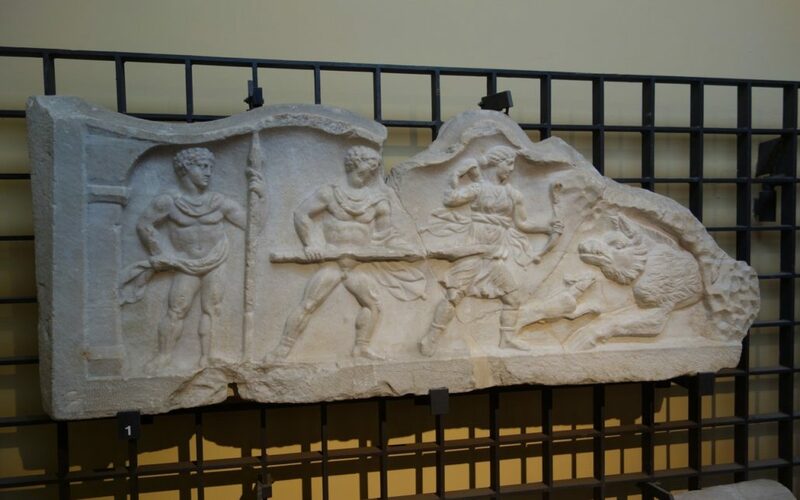 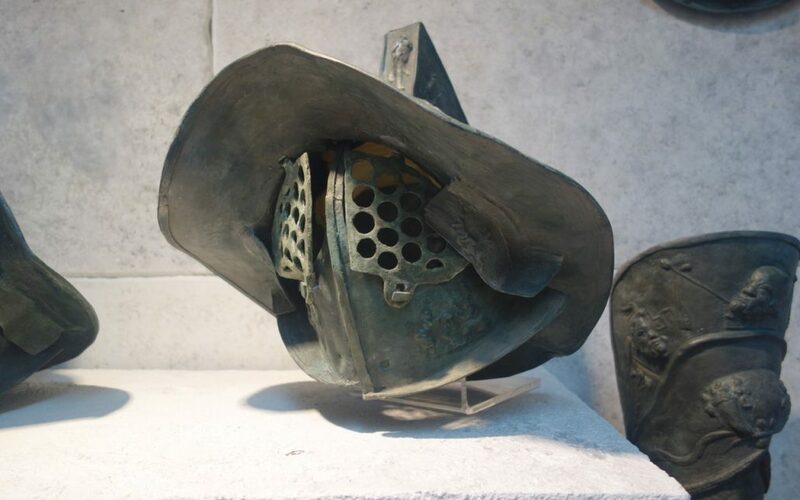 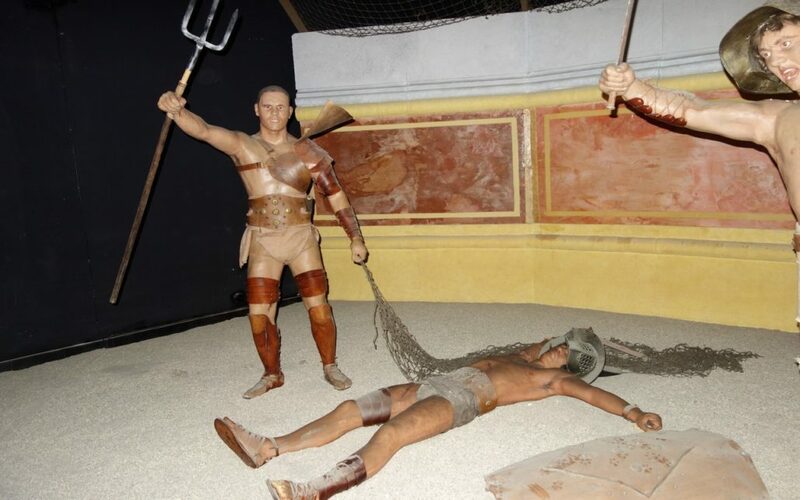 We also visit the adjoining Gladiator Museum to learn more about the training and lives of gladiators. 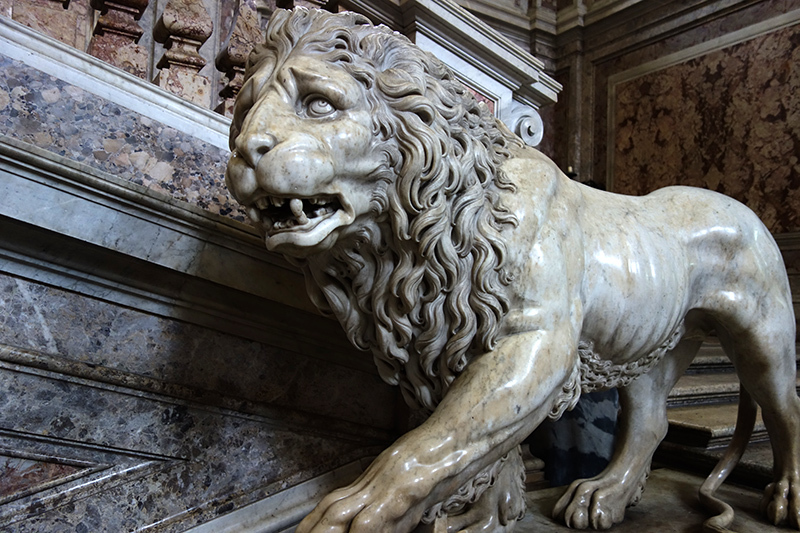 Please note: This tour does not run on Mondays and Tuesdays.